You can count the amount of sneakerheads from New Hampshire on one hand — I know, I&apos;m one of them — but we can now add Mississippi State head football coach Dan Mullen to that list, as he decided to wear a pair of Yeezy Boosts 350s to SEC Media Day. The only problem was that one member of the press didn&apos;t think it was such a cool move that Mullen sported the new sneakers with his pinstriped suit. The reason that Mullen wore the sneakers, he says was because, "[He tries] to have some swag with the sock game and the shoe." 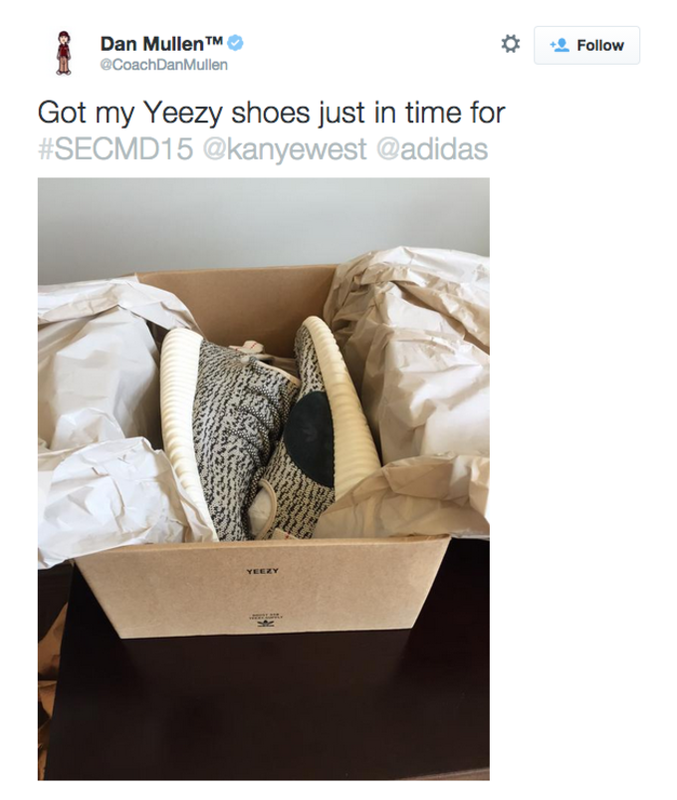 Don&apos;t think for a second, though, that Mullen personally got his sneakers from Kanye West. Mississippi State is an adidas school, and that&apos;s where his plug lies. 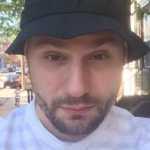 "I wish I could say I was tight with Kanye, but I&apos;m more tight with adidas people," he said. In fact, Mullen just received the sneakers today, as he showed off on Twitter. To be fair, Forde seems like the one out of touch, not Mullen. 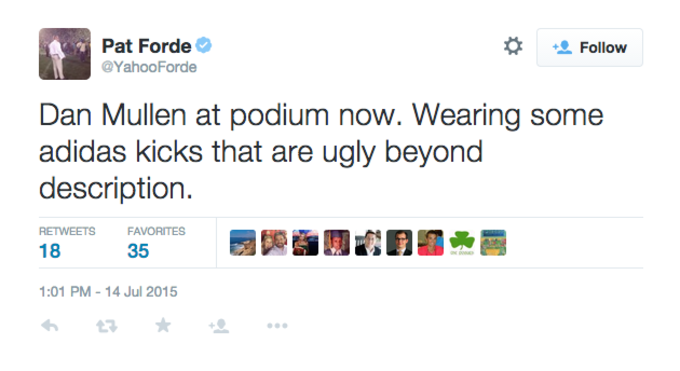 As one Twitter user corrected him on what sneakers he was making fun of, Forde boldly replied, "Ugly by any name." While some might call Mullen a disconnected old guy, I can&apos;t find it in my bones to slander him for his sneaker choice. Live Free or Die, right?